Explore the island on bikes or simply stroll taking in the clean air and uninterrupted views. 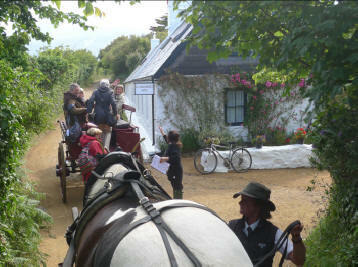 We have no cars on Sark, so getting around is nicely old fashioned. 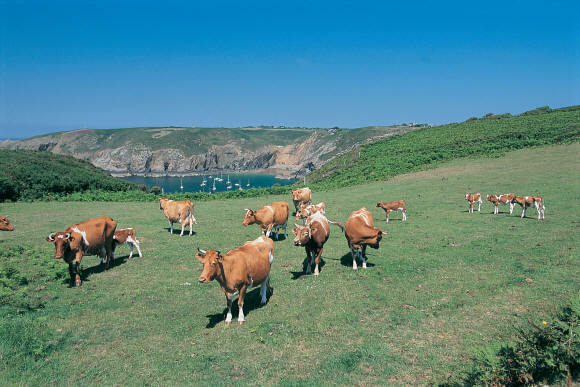 Sark is about life as it used to be. It harks back to the days when walking, sitting, watching, wandering, exploring and daydreaming were the things that put your mind to rest and recharged you ready for the next day or even the next year. La Sablonnerie is geared to recharge the human spirit not the laptop or the mobile phone. When you have enjoyed a day out in the rugged countryside why not come back to the bar and enjoy a refreshing apéritif before settling down to peruse the menu prior to dining. However you choose to relax you will not find a better way to spend the hours then in the old world comfort and charm of La Sablonnerie. À bientôt.